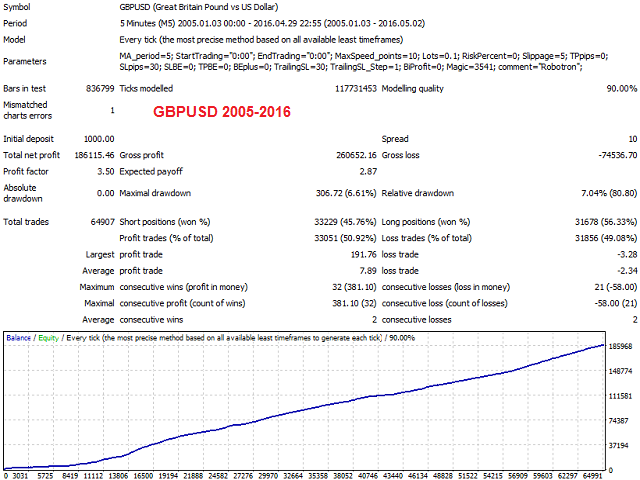 This robot measures the rate of change of moving average, and opening trades in the direction of rapid movement MA. It uses a very tight SL and TrailingSL so you can trade large volumes. 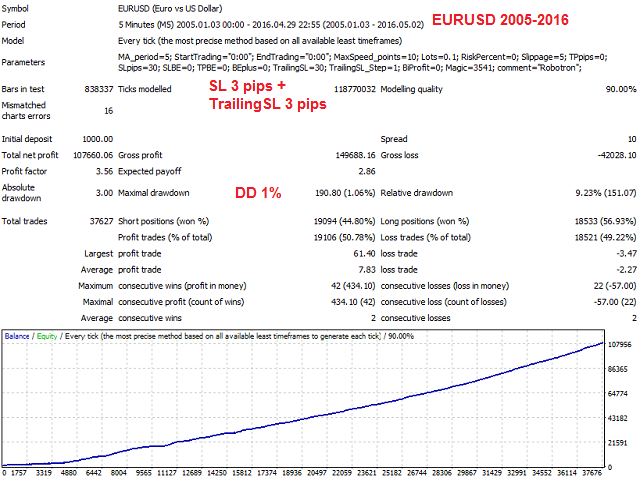 AutoLot by SL, Risk % - Calculates the volume of trade according to the set SL and here set risk% of account balance. Test and real take a different, worst what a ever seen. Do not waste your time and money on Robotron. 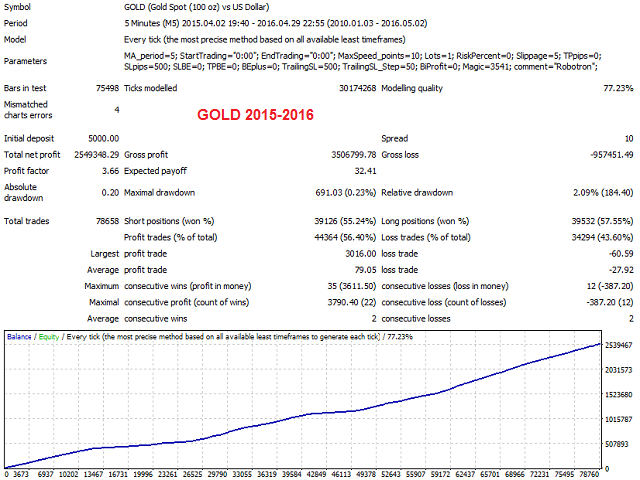 I bought two months using EURUSD demo account, disappointing.